Idea Ribbon sells only the finest satin fabric. 100% polyester, the quality is unmatched. These 65" x 20 yd single-face satin rolls come in 22 unique colors. They are the perfect addition to weddings, banquets, recitals, or special events. 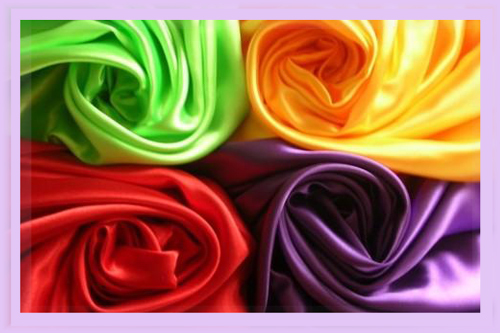 By using our satin fabric rolls, you will learn to appreciate the beauty and silk-like quality that we have to offer. The 65" x 20 yd is the splendid choice when it comes to diy table covers. The main reason why it is a popular choice is the ease of us and the amount of material you receive from us. With 20 yards, it can make up to 10 table covers or satin overlay. This is the best choice when it comes to saving money! 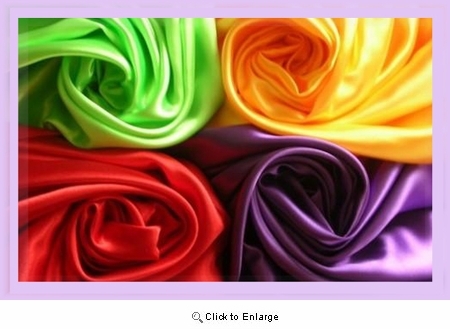 Our satin fabric table overlay comes out to $3.00 each! Yes, $3.00 each! How, you ask? It's easy as 1, 2, 3. 1. Measure the length of satin fabric you wish to cut using the ruler. 4. Using our 650" x 650" long satin fabric roll, you can make up to 10 beautiful overlays for your table. The 20 yd comes out to a total of 7200" long! 5. Quick, easy, and only takes 5 minutes of your time! The best way to save money and look elegant at the same time. Click here to see our available satin fabric rolls.